Dr. Nicole Bergesch, PT, DPT graduated from the University of St. Augustine with a Doctorate in Physical Therapy in 2018. She holds a Bachelors of Science with an emphasis in Kinesiology from San Diego State University, in which she graduated from in 2015. 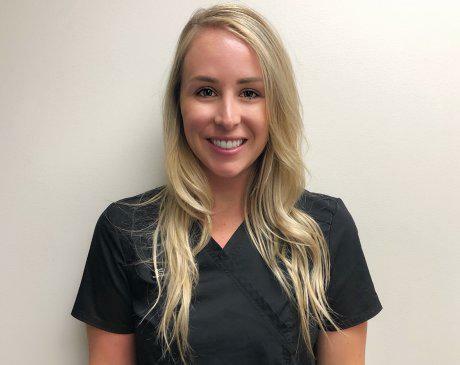 Nicole has taken several advanced therapy related courses in the evaluation and manipulation of the Cranio-Facial, Cervical, Thoracic, and Lumbar spine regions. She has diagnostic and treatment experience in outpatient orthopedics, neurological conditions, aquatic based physical therapy, and subacute inpatient rehabilitation. With a special interest in the geriatric population, her treatment approach is strongly based on restoring function to improve mobility and increase independence. Nicole has also been a member of the American Physical Therapy Association since 2016. In her free time she enjoys hiking, surfing, and spending time outdoors.